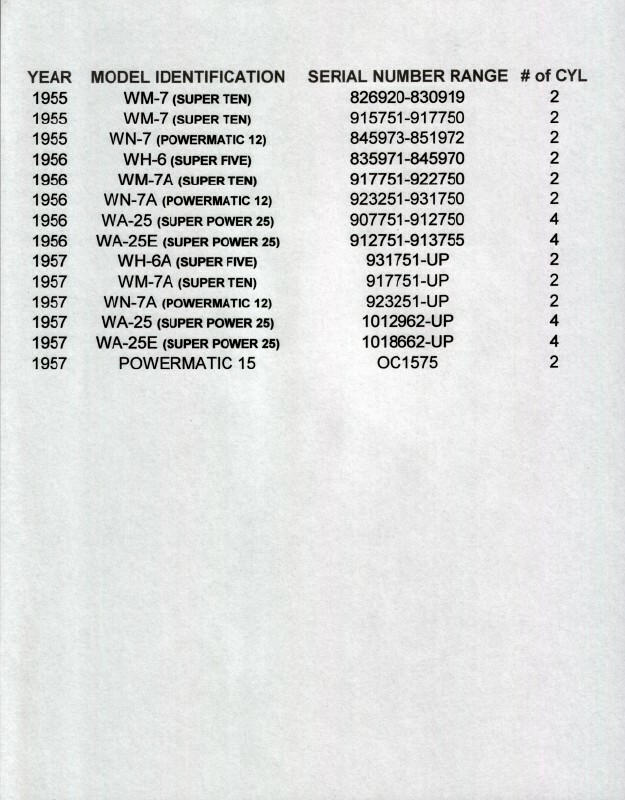 Below are Technical Information pages for the early Mercury, Sea King, and Wizard Outboard Motors for comparision purposes. 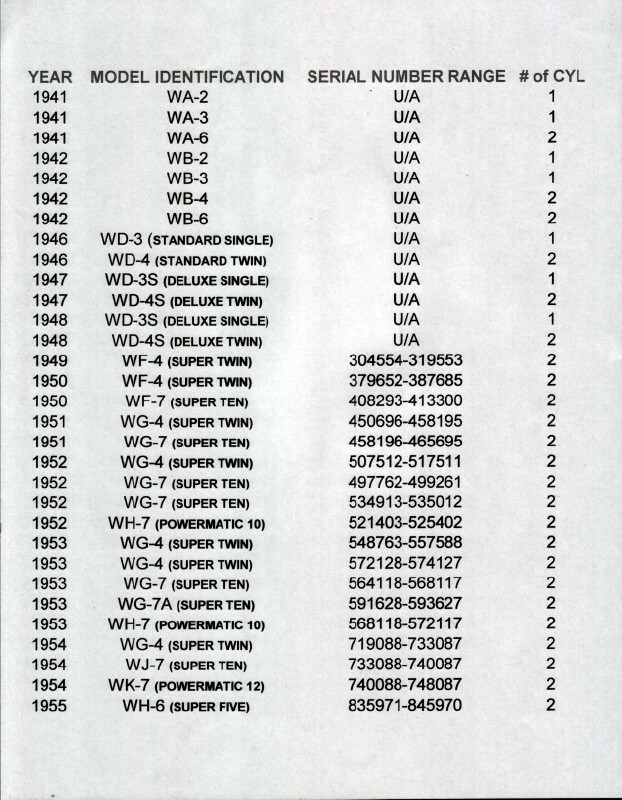 Several different companies made Western Auto’s Wizard Brand Outboards over the years. 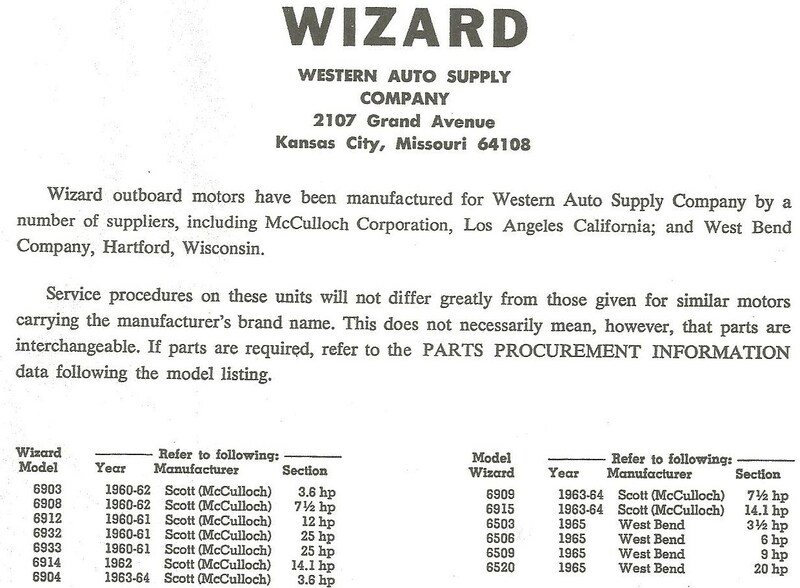 Kiekhaefer, Oliver, Scott Atwater/McCulloch, West Bend/Chrysler, Eska, and others supplied Wizard brand motors. Generally, the Wizard outboard was similar if not the same as the vendors brand outboards except for cosmetic and brand identification. Sometimes a supplier offered outboards for sale by several retailers as well as under their own brand so it is possible to source parts from related models sold under different brands thru different retailers. Similar does not mean same, so bear in mind that possible does not mean certainty. It is however a strong likelihood that suppliers did not expend too much effort to re-engineer their offerings in a low bid wins business game.